"Saw you in the news, donating a roof too a veteran. Being a..."
"All too often people only write to a company (or post..."
Since 1998 Klaus Larsen LLC has been providing peace of mind to Connecticut homeowners with unmatched roofing and gutter installation. 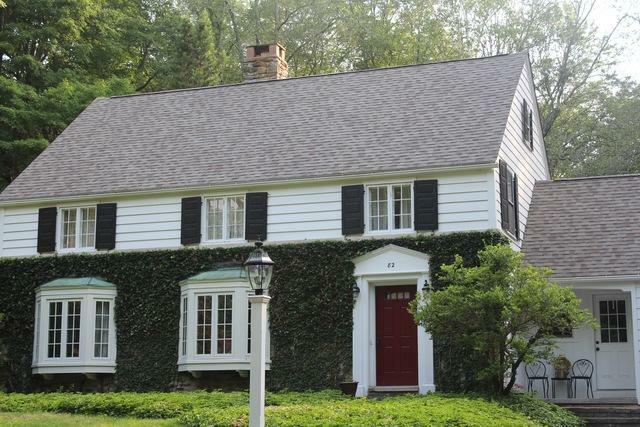 We offer sustainable and environmentally friendly exterior home improvement services in West Hartford, Glastonbury, Manchester and nearby in Central and Eastern Connecticut. We stand behind our work and treat every home we work on as if it were one of our own. When you are working with Klaus Larsen LLC you're working with family! Find out how we can help you improve your home by scheduling a free cost estimate today! Without a roof, your home really serves no function-it can't protect you from anything. A faulty roof can be just as dangerous as having no structure at all, since the elements can still penetrate the interior of your home. You're also stuck knowing that things can only get worse, leaving you with an unsettling feeling about the safety of your home for the future. When it comes to roofing services, only the best can save you from trouble down the line. That's why it's important to call in a professional roofing contractor like Klaus Larsen LLC if you see any signs of damage, to make sure that your roof is in good shape and functioning to the best of its ability. We will help you recover from hail damage and take care of your new roofing needs. We are also skilled with ridge vents and ventilation. Klaus Larsen LLC is proud of our prowess in the roofing industry, and we are excited to share our solutions with you. Ultimately, we know that our roof replacement services will help ensure a better life for you, and there is nothing we value more. On top of our proven roofing services, we are also proud to offer gutter options to add beauty, value, and protection to your home. Gutters help your roof complete its job by directing water away from your foundation, but they are often overlooked and can face years of clogging and abuse. Our technicians can install new gutters and gutter guards for your home, guaranteeing long-term protection from water damage. Unfortunately, the problems you are experiencing with your roof can be very dangerous. Nothing other than service performed by an experienced roofing contractor will reverse your fortunes and protect you from severe weather and the world outside. Waiting to complete a necessary replacement will only compound the issues, costing you more time and money in the long run. Before hiring a roofer, be sure to contact your insurance provider to find out if your homeowner's policy will cover any of the damage. Klaus Larsen LLC is a locally owned and operated roofing company, and we work hard to achieve total customer satisfaction. We maintain real, current knowledge of our trade, and our expertise allows us to guarantee our customers' safety for life. Call us or contact us online to schedule an inspection today! 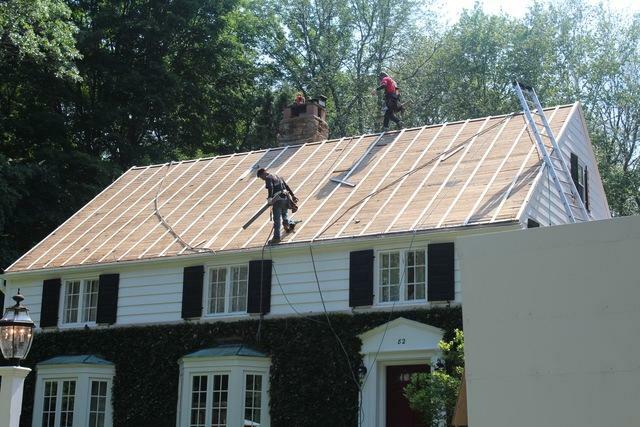 We provide free estimates for all work needed to install or replace your roof. Our services are available to residents throughout Central and Eastern Connecticut in West Hartford, Glastonbury, Manchester, and surrounding areas.